Between some extreme soreness and needing stitches on my fingers, I’ve been getting in more bodyweight strength training sessions than I normally do. And it’s making me think about why I love having bodyweight strength training in my back pocket. There’s no need for me to go to the gym to get in a bodyweight session because I can do it without equipment. 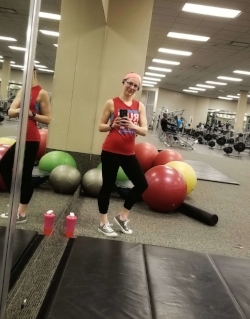 Which is sometimes easier than going to LA Fitness when it gets to be crowded and sometimes I don’t get the weights I need (like when there’s only one 15lb dumbbell on the rack). This also makes it easy to get in workouts when traveling, I’ve done a bodyweight training session in a hotel room one Christmas! 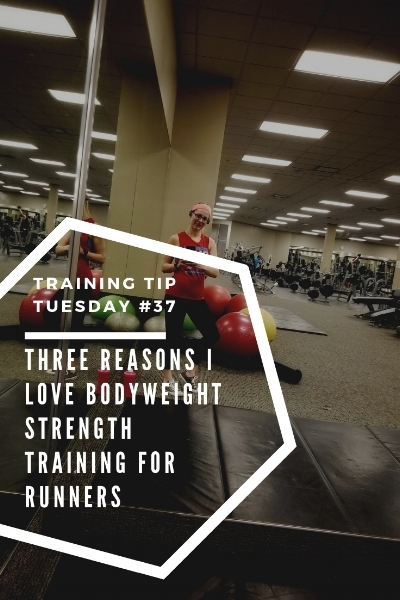 Strength training is so important to preventing injuries but when your main focus is running, it’s hard to get in the miles you want to along with multiple strength training workouts. I’ve found that bodyweight workouts are the perfect way to get in a second strength training workout in during my week because it doesn’t tax my muscles as much as one using weights. Plus I can get it in as soon as I’m done with a run!